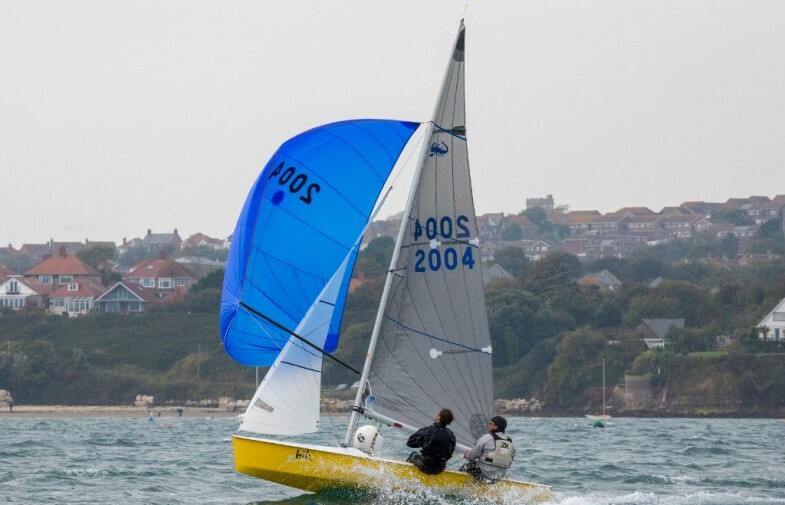 The Scorpion is a class of small sailing dinghy. The Scorpion is a lightweight, high performance, two person racing dinghy. Its adjustable rig enables sailing in all weathers to crews of all weights, ages and experiences. The Scorpion was originally designed for launch and recovery through Cornish surf. Its 14ft hard chine planing hull is built to strict measurements whilst rig controls and cockpit layout are left to personal choice. The ability to adjust the rig whilst sailing means that the Scorpion can be raced in most conditions. Its lightweight hull (81kg) gives its good performance and easily handling ashore.